Florian Yuriev is Ukrainian artist, architect, composer and critic. He was born in Siberia in 1929. Yuriev graduated from the Irkutsk College of Arts, Kiev Art Institute and graduate at the Moscow Printing Institute (art history) in 1974. 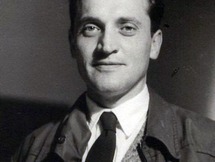 From 1956-1976 he worked as chief architect of the institute "Kievproject". 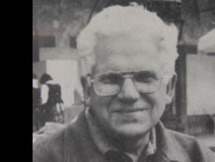 From 1976-1991 he was associate professor of Kiev Ukrainian Printing Institute Ivan Fedorov (today Ukrainian Academy of Printing) at graphics department. From 1991 he worked at Institute of Ecological Hygiene and Toxicology. 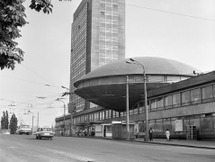 His architectural projects are The project district "Nivki" 3 in Kiev, two storey building of metro station "Khreshchatyk" in Kiev, Technical and Economic Information Education of Ukraine (known as "flying saucer").